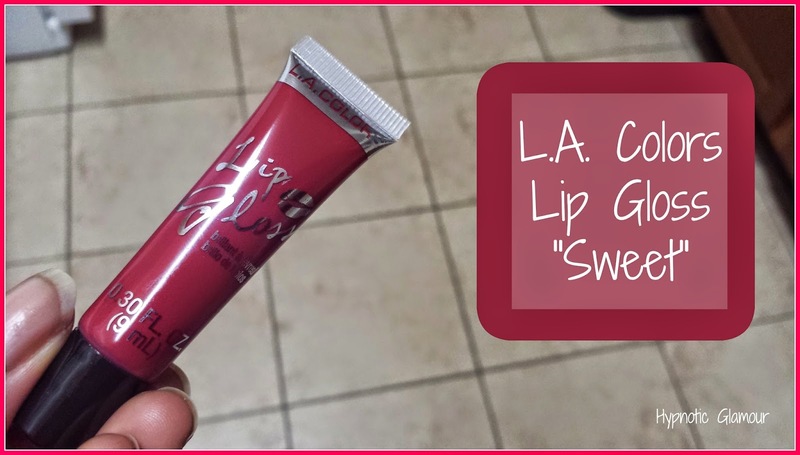 This lip gloss is from the Sweet Gloss & Shine duo by L.A. Colors (purchased from the Dollar Tree of course). This is a bold 0.30 fl oz. 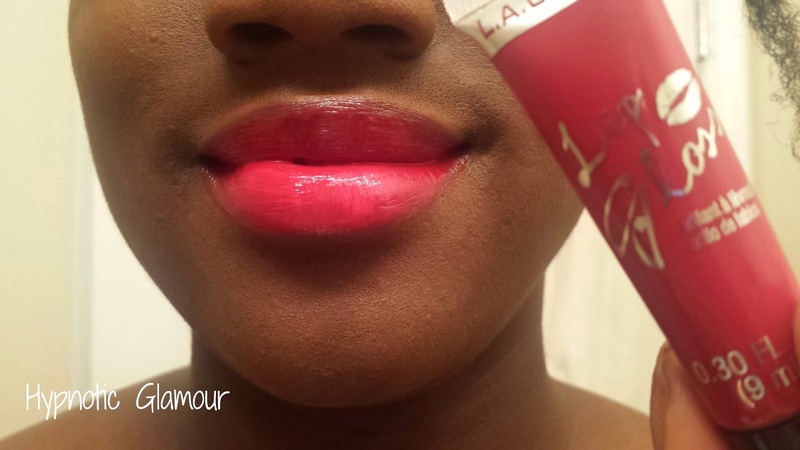 (9 mL) red gloss that is quite pigmented although 2 coats are best to really bring out this color. The shine is amazing. I put a primer under this gloss just because the last gloss I used from this collection was really dry when I took it off. This one also left my lips dry after it wore off. The scent is pleasant and there is no particular taste (aside from your typical lip gloss taste). Now on to what I didn't like. It kept getting on my teeth. After awhile, that seemed to stop though. After eating and drinking and just wear throughout the day, it wore completely off. The applicator is just the squeeze tube type so there is no precision. It was hard to get some areas covered and other areas ended up a bit messy. 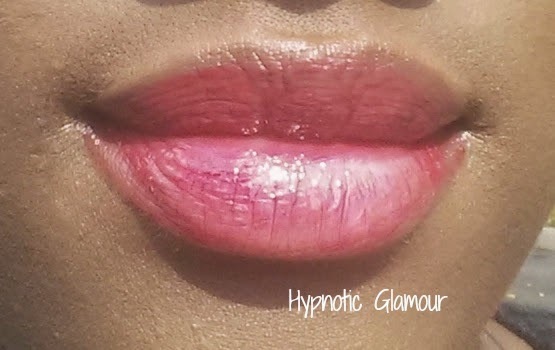 Overall, for a 50 cent gloss, it's not bad but don't expect it to last all day. I mean hey, it's only worth 50 cents! I'd recommend carrying it with you so you can reapply as needed.